View the latest earthquakes on the interactive map above, displaying the magnitude, location, depth and the event time. 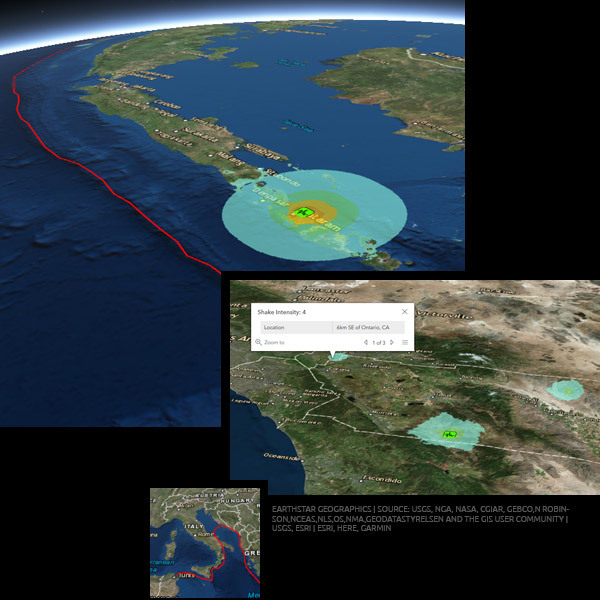 The information is provided by the USGS Earthquake Hazards Program. The earthquake is a shaking of the Earth’s surface, caused by the displacement of a part of the Earth’s crust and the sudden release of a large amount of energy. The diffusion of vibrations in the layers of the surface is called a seismic wave. The earthquakes occur as a result of accumulated tensions and deformations in the Earth’s crust. The area of destruction is known as the outbreak of the earthquake. The point underground, from where the energy is released, is called Hypocenter. The projection of Hipocentra on the Earth’s surface is called Epicenter. The science of earthquakes is called seismology. Earthquakes can be so strong that they destroy entire cities and cause tsunamis, landslides and even volcanic eruptions. The seismic activity of a particular region is determined by the frequency, nature and magnitude of earthquakes over a certain period of time. Earthquakes are measured with seizmometri. The Richter scale is most commonly used. The earthquakes are divided by their origin into tectonic and volcanic. The depth of the Hipocentra is divided into shoals (up to 100 km), intermediate (from 100 to 300 km) and deep earthquakes (from 300 to 700 km). The most destructive are the flat tectonic earthquakes. The most popular scale of energy evaluation in earthquakes is the local scale of the Richter magnitude. Thus, the increase is a degree of magnitude of the 32-fold increase in the released seismic energy. An earthquake of magnitude 2 is subtle until the magnitude 7 is the lower limit of destructive earthquakes that cover large areas. 12 (total) – changes of the relief on a large scale. Huge avalanches and burglaries. Total destruction of buildings and facilities.